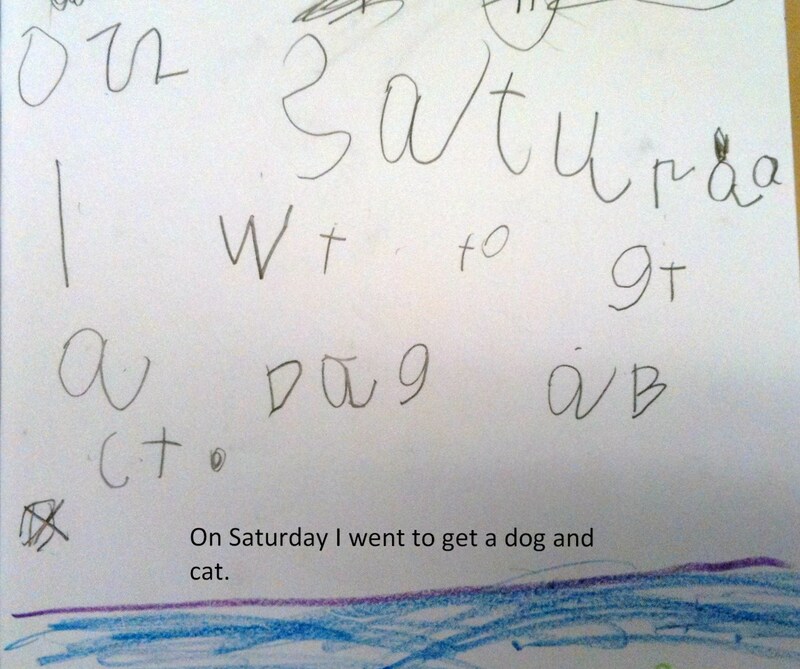 ← Week 7 – First Year of Formal Education in Australia: 5 Year Olds – PrepD Student Led Interactive Writing. I try to post during the week, but life is hectic. I know from emails that many teachers are following my students, and asking for more information. I’ll post something significant soon. I do need to say that my student’s writing parallels their reading development. They will tell you that they are ‘rocking and rolling’. Language Experience is the key. Journal Writing Samples: I always display a range of writing from my class. 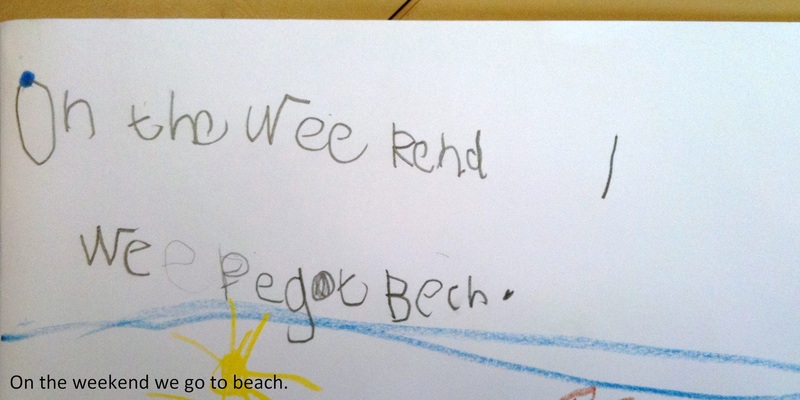 This is independent writing…and my students live near the beach. Language Experience: Set Class Sentence composed independently and individually. Language Experience Sentence: All students write our class orally developed sentence independently. Whilst my students are writing, I’m observing their use od strategies. The Language Experience orally created sentence is: We are eating lunch at school. PrepD Student Led Interactive Writing. PrepD Student Led Interactive Writing: Language Experience sentence orally created as a grade: Today we are having a special lunch. I was particularly interested in how they would tackle spelling ‘today’ and ‘special’, and I have to say I’m impressed. P.S Send me an email if you would like more information. Love it, especially those counters for spaces. I’ll write up a post outline the strategies I use for Big Books. Thanks for the comment, as I always appreciate feedback. I am so inspired by your site. I have a prep class and would like to see some Big book Reading strategies that you have used and activities that you do with a differentiated group. Your feedback will be greatfully appreciated.